Sarah qualified from Bristol University and spent four years in mixed general practice before setting up a behaviour medicine referral practice in 1992. She is an External Lecturer in small animal behavioural medicine at Liverpool University and a Certified Clinical Animal Behaviourist under the ASAB accreditation scheme. 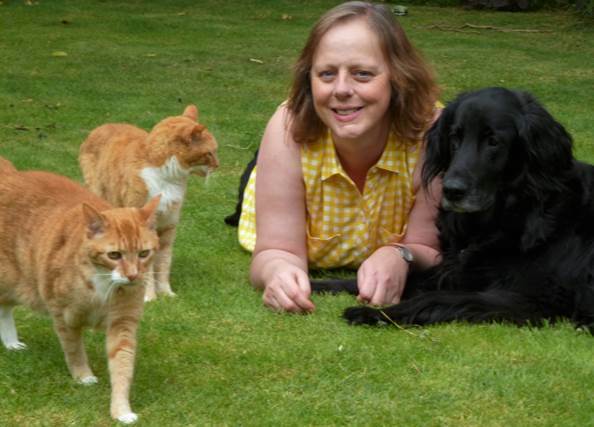 In 2002 Sarah became a Founding Diplomate of the European College of Animal Welfare and Behavioural Medicine (formerly the ECVBM-CA) and served as President from 2002 to 2008. She is currently Treasurer of the College. Sarah has a special interest in the interplay between behaviour and physical illness in dogs and cats and particularly in the role of pain. She promotes the understanding of animal mental health within the veterinary profession and lectures extensively at home and abroad on behavioural topics.